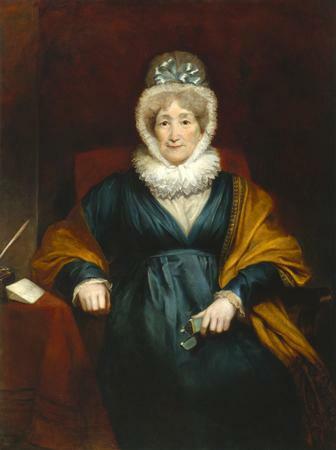 Prolific author Hannah More made her way to the most prestigious literary circles of eighteenth-century England, establishing herself as a true Bluestocking. But she’s better known for her moralist writings. Hannah More was born on February 2, 1745. Her father, who’d been raised Presbyterian, had turned to the Church of England. He’d aspired to a career in the church and raised all his daughters with a particularly strong religious foundation, even for the time. More and her sisters were educated at home. Her father taught mathematics and Latin. Later, her elder sisters would teach her French. In 1758, her father established a girls’ boarding school. More eventually began teaching there. Her first literary endeavors were pastoral plays that would be appropriate for her students to perform. When she published In Search After Happiness (1762), the work proved a success. Within about twenty years, it had sold over 10,000 copies. More gave up her position at the school in 1767 because she got engaged to William Turner. But six years later, the two still hadn’t gotten married–and Turner exhibited no sense of urgency. In 1773, the engagement ended. More suffered a nervous breakdown, and Turner agreed to pay £200 a year to More as compensation. That sum was enough that More could live modestly while she pursued a literary career. That same year, More made a pilgrimage to London with two of her sisters, a trip she would repeat annually. Thanks to the lyrics she’d written about David Garrick’s version of King Lear, the legendary actor and playwright took notice of More. 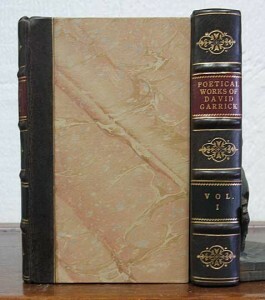 The acquaintance proved a fortuitous one for More: not only did Garrick help her gain entry into London’s literary circles, but he also collaborated with her on the tragedy Percy (1777), writing both the prologue and epilogue. The association ensured that when the play was performed at Convent Garden that December, it was a smashing success. But when More followed up with The Fatal Falsehood in 1779, she was on her own. Garrick had passed away. The new play foundered, and More decided to turn away from theatre and pursue other genres. By this time, she’d become thoroughly ensconced with London’s literati. More befriended luminaries like Joshua Reynolds, Samuel Johnson, and Edmund Burke. In 1781, More met Horace Walpole, and the two occasionally corresponded thereafter. More also frequented Lady Elizabeth Montagu’s salon and came to be closely affiliated with the Bluestockings, befriending Hester Capone, Elizabeth Carter, Frances Boscawen, and Elizabeth Vesey. 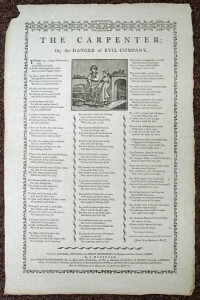 In 1782, More wrote a witty poem in tribute to her friends called The Bas-Bleu, but it wouldn’t be published until two years later. That year also marked a turning point in More’s career. With Sacred Dramas (1782), she began turning toward more serious subjects. She followed up with works like An Estimate of the Religion of the Fashionable World (1788) and Strictures on the Modern System of Female Education (1809). More also began to engage in the abolitionist movement. She had become close with Beilby Porteus, the Bishop of London, along with evangelical leaders like Zachary Macaulay and William Wilberforce. More also found herself drawn into a circle of prominent anti-slavery activists like James Ramsay and Charles Middleton. While back in Bristol, More discovered the poetry of Ann Yearsley. She took the young poetess under her wing, even organizing a benefit to raise money when Yearsley faced dire financial straits. Yearsley, who was known as Lactilia, published Poems, on Several Occasions and earned £600. Wishing to protect Yearsley’s earnings from her greedy husband, More and Montagu put the money in trust. Yearsley demanded the capital, but her mentors refused. Finally, Yearsley publicly insinuated that More had stolen the money. They were left with no choice but to turn over the money to Yearsley. Meanwhile, her reputation destroyed, More was forced to slink away from the London social scene. Though More left London, she didn’t stop writing. She retired to the country with her sister Martha in 1785 and devoted her time to writing religious books and tracts. More’s long friendship with Porteus would come to significantly shape this period of More’s authorial career. At Porteus’ urging, More undertook a number of lively rhymes and prose stories–all didactic, naturally. They started in 1792 with Village Politics, by Will Chip, with the intent to refute the doctrines of Thomas Paine and undermine the influence of the French Revolution.Village Politics was a publishing phenomenon. Encouraged, More and Porteus embarked on a more ambitious endeavor. They began the Cheap Repository Series, which ran from 1795 until 1797. Already a prolific author, More managed to write three pieces for the series each month. The most famous of these, The Shepherd of Salisbury Plain, was even translated into multiple languages. The tracts promoted Christian virtues like sobriety, frugality, and industry. But they also encouraged respect for the British Constitution and a trust in the benevolence of the gentry. Two million copies circulated in one year. Meanwhile, More and her sister Martha had been busy setting up a dozen schools where children could learn to read and get lessons on the Bible and the catechism. Their noble cause had met with considerable resistance from local farmers, who feared that education would prove the downfall of agriculture. More also had some unlikely detractors: local church leaders, who considered More’s approach and doctrine too Methodist. More remained quite active and productive until the last years of her life. She’s remembered today for her tireless work for education, and for her religious writing. Because her doctrine has fallen out of fashion, More’s works aren’t often taught, and she’s fallen from our collective conscience. But her works encapsulate the zeitgeist of late eighteenth- and early nineteenth-century Britain. This entry was posted in 18th-Century Literature, Antiquarian Books and tagged abolitionism, Bluestockings, education reform, Elizabeth Montagu, Hannah More, Samuel Johnson on March 4, 2014 by tavistock_books.